When logged into your Community via a web browser, alumni have the ability to adjust and manage their profile settings. These settings can be found by opening up their user dropdown menu in the upper-right corner and selecting "Manage your Profile settings," or when on their profile clicking the same button under their name. If enabled for your organization, this is where an alum can self-identify as willing to be a mentor to your community. More about Mentorship can be found here. Under Become a Mentor, alums are also encouraged to update their profile by opening up the Suggested Profile Updates module. This allows the alum to submit updates to their record, which the school can then approve. More on suggested updates can be found here. At the highest level, users have the ability to set the visibility preference for their entire profile. By selecting "Make my Profile visible to only me," an alum's profile will no longer be visible in the application or filterable by other alum users. If an alum would like to have more granular visibility settings applied, like hiding a specific address or phone number, they should reach out to the organization directly by using the " Suggest Updates to Profile" button provided at the bottom of this screen. From there, they can input their request in the "Additional Info" tab. If a user ever needs to reset their password, they can easily do so in Profile Settings >> Password at any time. A user can also reset their password before logging in if, for example, they are unable to access their account. 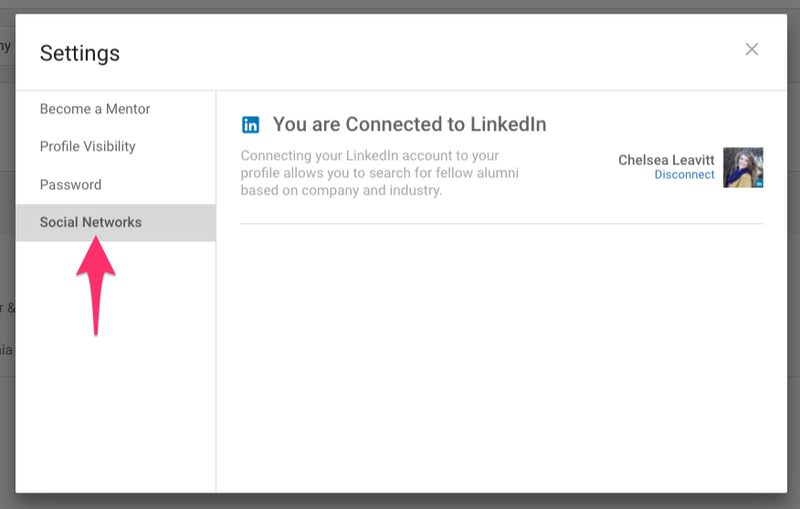 If an alum is using LinkedIn to log into the Community, they will need to manage their password via LinkedIn directly. EverTrue allows your users to connect to LinkedIn in order to enhance the features available to them in the application. These features include searching for fellow alumni based on company and industry data provided by LinkedIn.